Agora will provide support to KYNE’s client portfolio, sharing key market information and communications services in the territories of Argentina, Colombia and Mexico. Agora, the regional consultancy specializing in public affairs and strategic communications, part of the Untold_ ecosystem, announces a strategic partnership with KYNE, a global agency specialized in healthcare communications dedicated to helping to improve and save lives with offices in Los Angeles, New York and Dublin. As part of this partnership, Agora will provide advice and communications support for KYNE in Argentina, Colombia and Mexico. It will also provide both companies with the opportunity to share ideas and improve practices in reputation management, the defense of patient rights and digital communications. “We’re very happy to have formed this partnership. Agora and KYNE share more than a working style, we have the same business philosophy and vision: we’re both dedicated to creating positive ties between our clients and their key audiences. This new agreement will allow us to continue offering a quality service to all our clients in Latin America and the United States,” saidSantiago Lacase, President and Partner of Agora Argentina. 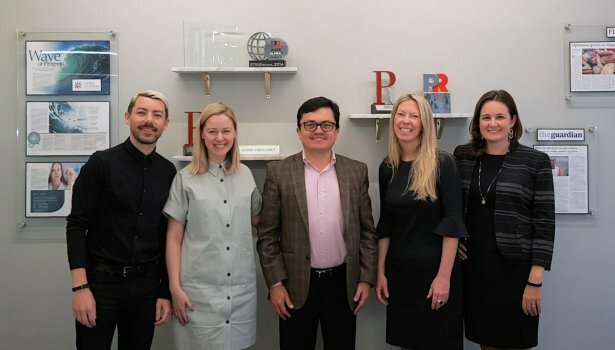 KYNE represents healthcare organizations such as Seqirus, The Rockefeller Foundation, The Carter Center and Relypsa, among others, and has received more than 15 international nominations and awards including Boutique Agency of the Year from PRWeek.